Prior to Khan’s death last year, several artists were at work remixing several groundbreaking pieces that Khan and Brook together had recorded on their last successful album from 1996, Night Song. The collaboration between eastern spiritual and traditional music embossed with Western electronic textures had rarely if ever met with such world acceptance and support. This set of selected remixes then stands as a tribute of sorts from primarily Eastern (Indian and Asian) artists to their cherished mentor. Only one piece was completed after the singer’s death. Nine tracks are split between various artists in essence performing dub versions and adding additional percussion, rhythm tracks to most of the pieces. So the intent is to use the voice to best use within the technological framework. And plus it is disco trancelike as well and very danceable. Results are most successful when the rhythmic element of Khan’s vocal’s match the intensity of the of the pulsing synth basses as on Joi’s reworking of "Sweet Pain." 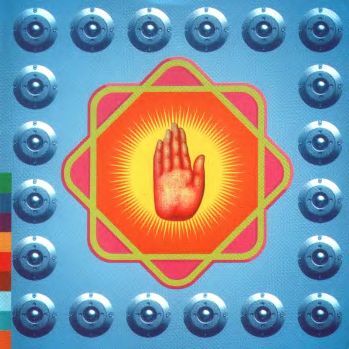 Talvin Singh’s individualized version of "My Heart, My Life" varies slightly from the original in a more delicate presentation. Asian Dub Foundation’s almost raucous version of "Taa Deem" incorporates some radical fuzz guitar which parallels the lead vocal that works up to great tension building effect. Michael Brook’s sympathetic hand is at work in production of all tracks included as a surefire continuity. Brook was the true initiator of the nexus of ideas for all the tracks. For the uninitiated, Khan’s voice may be a bit of an acquired taste, but with the current bass and drums trend in full force in the UK, this project should do well for Realworld sales.